Once you can play all of the Bass Line Challenge Task 4 try to play 7th chords with the right hand instead of triads. 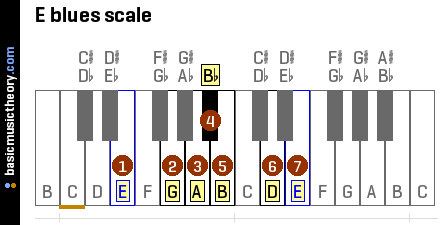 7th chords have 4 pitches instead of only 3 used in triads. Try playing the following bass line with the left hand while you play the right hand using 7th chords in the key of C Major. 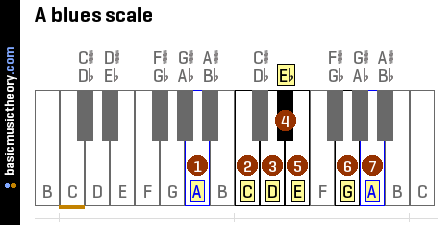 NEXT you can use ‘inversions’ of the 7th chords to make them easier to play. See below on the music. Notice the C7 chord is in a ‘root’ position while the F7 and G7 chords are using an inversion to make them easier to play. HERE is the LINK to create your own copy of the Noteflight file below. You will have to open a NoteFlight account first. *Below is the score from the link above. 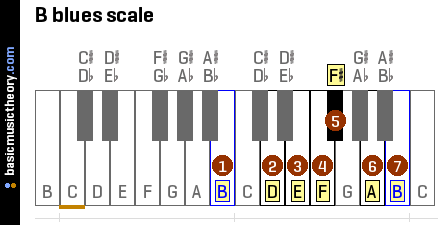 Now that you can play the basic blues progression in C, let’s see if you can take it to the next step and transfer your knowledge and play it in G.
*Notice in the 2nd and 12th measure there is an alternate chord possibility. 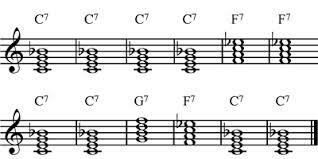 There are many variations on the original 12 bar blues progression that musicians have developed to create interest for the listener. Try playing the following bass line with the left hand while you play the right hand using 7th chords in the key of G Major. 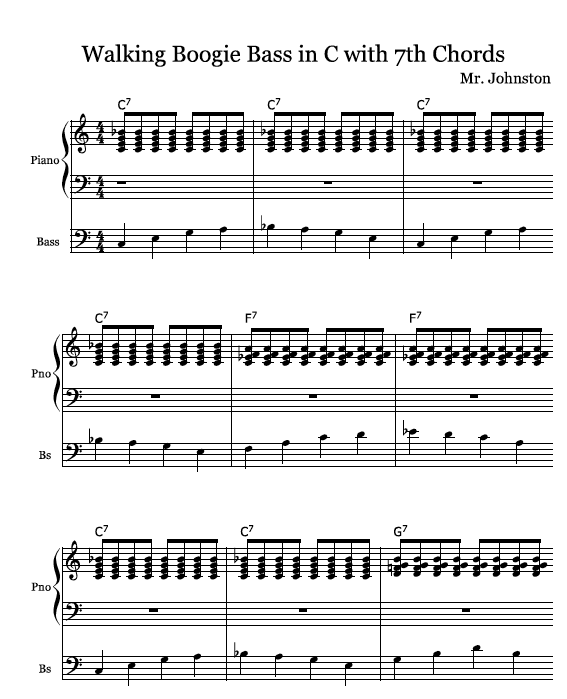 HERE is the LINK to create your own copy of the Noteflight file below.